James Davison Hunter is LaBrosse-Levinson Distinguished Professor of Religion, Culture and Social Theory at the University of Virginia. He completed his doctorate at Rutgers University in 1981 and joined the faculty of the University of Virginia in 1983. Mr. Hunter has written 8 books, edited 3 books, and published a wide range of essays, articles, and reviews all variously concerned with the problem of meaning and moral order in a time of political and cultural change in American life. Most recently, he published The Death of Character: Moral Education in an Age without Good or Evil (2000) and Is There A Culture War? A Dialogue on Values and American Public Life, (with Alan Wolfe, 2006). These works have earned him national recognition and numerous literary awards. In 1988 he received the Distinguished Book Award from the Society for the Scientific Study of Religion for Evangelicalism: The Coming Generation. In 1991 he was the recipient of the Gustavus Myers Award for the Study of Human Rights for Articles of Faith; Articles of Peace. The Los Angeles Times named Mr. Hunter as a finalist for their 1992 Book Prize for Culture Wars: The Struggle to Define America. In 2004, he was appointed by the White House to a six-year term to the National Council of the National Endowment for the Humanities. In 2005, he won the Richard M. Weaver Prize for Scholarly Letters. 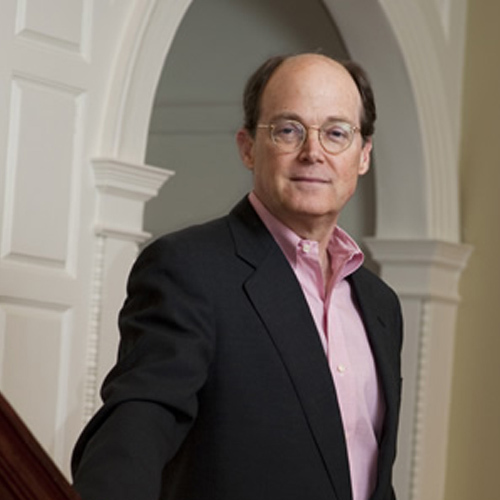 Since 1995, Professor Hunter has served as the Director of the Institute for Advanced Studies in Culture, a university-based, interdisciplinary research center concerned with understanding contemporary cultural change and its implications for individuals, institutions, and society. Under his direction, the Institute sponsors university-wide colloquia, provides doctoral and post-doctoral research support, holds conferences, fields national surveys of public opinion on the changing political culture of late 20th and early 21st century America and publishes an award-winning journal, The Hedgehog Review: Critical Reflections on Contemporary Culture. Over the years, his research findings have been presented to audiences on National Public Radio and C-Span, at the National Endowment for the Arts and at dozens of colleges and universities around the country including Columbia, Harvard, Vanderbilt, Notre Dame, and Holy Cross College. He also has been a consultant to the White House, the Bicentennial Commission for the U.S. Constitution, the Pew Charitable Trusts, and the National Commission on Civic Renewal. New Bunswick: Rutgers University Press, 1983. 170 pp. (Cloth & paperback editions) A main selection of the Religious Book Club. New York: Basic Books, 1991, 430 pp. (Paperback edition, 1992) Selected as an alternate in the Book of the Month Club, the History Book Club and the Quality Paperback Book Club. Finalist, 1992 L.A. Times Book Prize; 1992 Critics-Choice Award (Christianity Today); Honorable Mention, Phi Beta Kappa Book Competition. New York: Free Press, 1994, 310 pp. New York: Oxford University Press, 2010, 368 pp. Washington, D.C.: The Brookings Institution, 1990, 178 pp. Winner of the 1991, Gustavus Myers Award for the Study of Human Rights. New York: Oxford University Press, 2011. 680 pp. ​Yale University Press, 2018,. 312 pp.